The Business Guides are aimed at business people requiring an accurate and up-to-date guide to how business is orfganised and regulated in Asia. 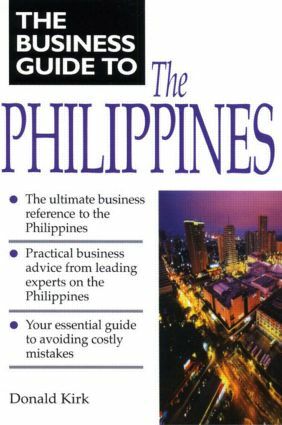 The Business Guide to the Philippines, part of the Business Guide to Asia Series, provides detailed information on setting up and running business ventures in the Philippines. All contributors are experts and specialists in their fields, providing you with an unparalleled wealth of insider knowledge. Each chapter is packed with the kind of information and advice usually available only to elite clients with large budgets for outside consultants.